Time flies when you’re having fun, and we’ve had A LOT of fun running the Brisbane, Sunshine and Gold Coast property meetings over the years. We’re now in our tenth year of facilitating these phenomenal South East Qld networking group meetings that have become the envy of all other states. Probably the most popular segment is our ‘Real Deal’ presentations. A ‘Real Deal’ is exactly that! It’s a real deal done by an everyday property investor in the current market. No polished displays or ego driven spruiking… no hidden agenda to sell any service…just the facts of the project, warts and all. By sharing the mistakes, the struggles and the successes, the Real Deal segment motivates, encourages and stimulates others to bravely follow the same path. Where Can You Find All These ‘Real Deals’? Property Resource Shop Virtual, Gold, and Platinum members all have access to the complete vault of these ‘Real Deal’ presentations, forming the #1 online educational resource in the country filled with information that you can immediately apply to your current situation. But now this vault is so extensive, that it’s hard for new members (or even current ones) to really watch EVERYTHING. So I thought it was about time we did a ‘best of’ selection, giving our members the ten case studies that are an absolute must-watch. Most of these recommended recordings are only available to our paying Property Resource Shop members. And if you are a member, clicking on the links below each Real Deal will take you right to that video. We have made some of these videos available for non-members too, so you can get an idea of what’s inside the members-only portal. And if you’re ready to take our membership for a test drive and your knowledge and expertise to the next level, you can do so now for less than a cup of coffee a day! Mark Olive wowed the audience with his 1 into 2 subdivision. Now this is a cracker deal because Mark not only split the block but did a fantastic renovation on the existing house as well – you’ll love the before and after photos! Although there was a 6 figure profit, the project was not without its challenges… including delays with the DA, engineering dramas and a storm that caused flooding to the site! This presentation has got it all! This fella really blew the crowd away (and almost upstaged Steve McKnight!) with his fantastic Real Deal presentation. This project has something for everyone in it so make sure you check it out if you haven’t seen it yet. 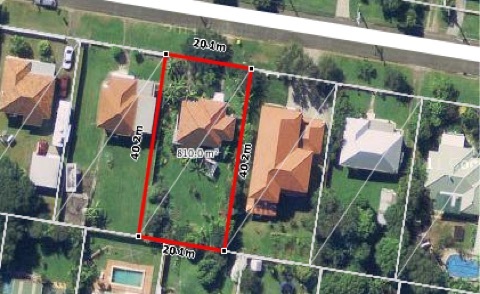 Check out Graeme’s unique way of finding this deal (yielding $105K profit in 6 months) and how you can use this strategy to help find you next potential subdivision project. Jason Marianoff is a full time property investor and mentor that retired when he was just 29 years of age. He has an amazing story to tell and shares with the audience one of his more ‘curly’ property deals. You’ll see how he made $80,000 on a splitter block in Wynnum along with the many challenges and solutions applied to the deal along the way. This truly is a ‘must see’ Real Deal presentation that will transform your mind on how to extract profit from a corner block! Jason is known as the master at creating win-win outcomes with all his property transactions and shares some of his tips and tricks to get a successful property deal over the line. Brendan has been working on his first development over the past couple of years and he shared his latest project – a 1 into 4 development in Tingalpa. Brendan had a stack of twists and turns in this deal and managed to come out the other side with a great outcome… but it was not without a few challenges! He spilt the beans on his lessons learned during this insightful project. If you’re into property development or wanting to get started, this is one presentation you must see. Not A Member Yet? Really?! Get started today for LESS THAN a cup of coffee per day! Leon & Cat have completed a rather unique buy, reno and sell project…this is an intriguing deal, and you won’t believe how it all came together! This is a classic example of finding a deal in an unconventional way, acting lightning fast to secure it, and applying persistence + determination to get the project done fast. Overcoming many obstacles along the way bought an end result of a 6 figure profit in under 3 months; don’t miss this one! Kate is a real pocket rocket and brings such enthusiasm and inspiration to the group. In this Real Deal, Kate will be sharing all in the ins and outs of her Splitter Block with house slide and structural renovation project in Ipswich! The project has created $140k in equity in just 3 months and you’ll be interested to know how and where she bought this site. Let’s not sugar coat this though, the project had a lot of problems – you’ll just have to download and watch to listen as Kate walks us through them all, and how she managed everything to achieve a very profitable outcome! Nhan Nguyen is actually owner of Advanced Property Strategies and mentors many property investors across the country. Including; how he found and secured the deal, how he managed to lock in a long settlement, the team he used and why the project was developed in stages. Enough said… just watch the recording now! Persistence meeting opportunity is how Justin made this deal work. By being ‘on the ground’ Justin was able to manufacture a good profit from something that most people would never have noticed. This deal was not without its challenges and you’ll see how Justin managed each issue to a profitable outcome. A great renovation project with lots of twists and turns to keep things very interesting. Paul and Lucy are your typical Mum and Dad investors that are kicking some major property goals. This 30 day renovation creates a simple but profitable net result. Listen and learn how these guys are creating a sustainable property investing approach that is building real long term wealth. Want To Access More Of These Exceptional Resources? If you’d like to access more exceptional Real Deal case studies like the ones above, go ahead and take the Ultimate Property Hub Membership Site for a test drive for only $97 a month…. no minimum contract. Or if you’d like to also attend our property networking group meetings in Brisbane, Sunshine Coast or Gold Coast, you’ll find them inside the Ultimate Property Hub too! (it includes both the video vault and the live meetings). The Ultimate Property Hub will not only give you access to over 100 case studies (that’s growing every month!) but there’s a wealth of other training modules to get your hands on… it really is the #1 online educational resource in the country on Applied Property Investing! Special thanks to all the Property Resource Shop members that have contributed to this special resource by sharing the photos, the numbers, the strategy and the blood, sweat and tears of their property projects. Thanks also to all the attendees of our Brisbane, Sunshine and Gold Coast property networking group meetings over the years that have applauded, encouraged, asked questions and supported our Real Deal presenters. You guys make the Property Resource Shop what it is, and we’re forever thankful for that!